The above sync pairs will ensure that each user’s Dropbox account are the exact mirror of that user’s Google Drive account. All files and folders data will be transferred and it will also be kept in sync. cloudHQ will also keep in sync all sharing information and permissions between Dropbox to Google Drive. The Dropbox team folders will be automatically excluded because Dropbox team folders should be migrated to corresponding Google Drive Team Drives. Here are step-by-step instructions for how to set up the above sync pairs. Ensure that you are a Dropbox for Business admin. The instructions are here: Dropbox for Business admin. Ensure that the G Suite Administrative API is enabled for your domain. 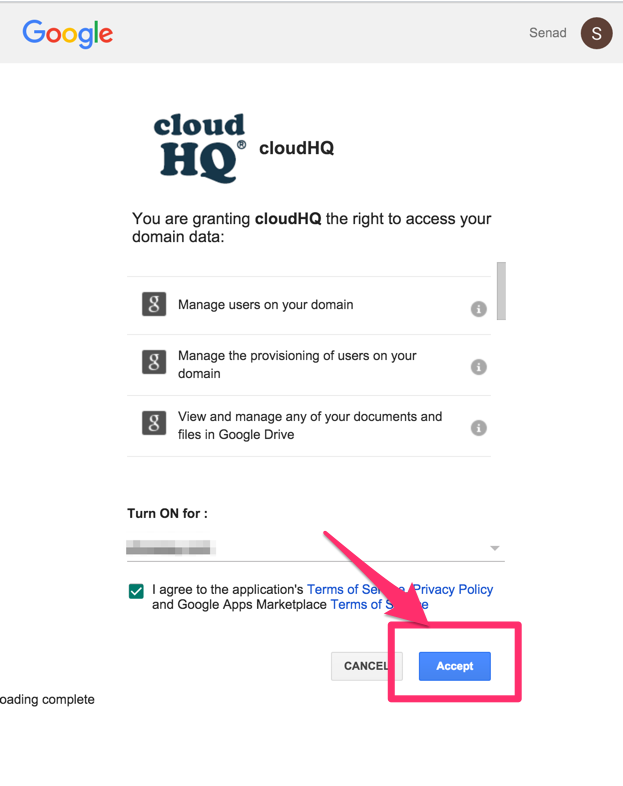 The instructions are here: https://support.cloudhq.net/how-to-check-if-google-apps-administrative-api-is-enabled-for-your-domain/.